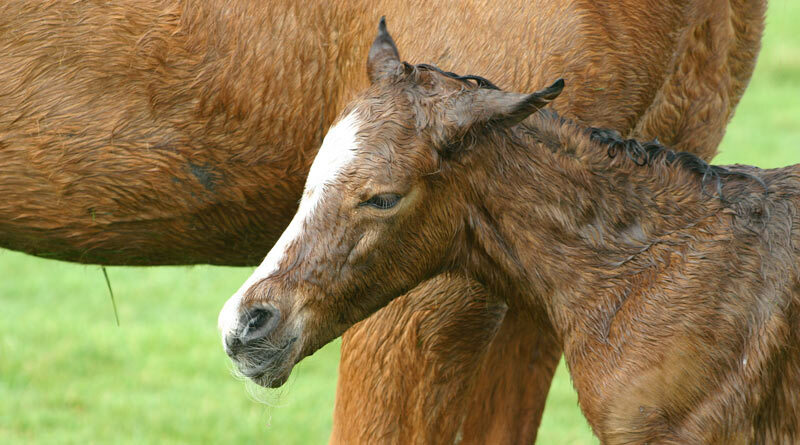 A three-part informational video series on diarrhea in foals for horse owners has been released by feed manufacturer Jaguar Animal Health. In the three short segments, foal specialist Dr. Siobhan McAuliffe discusses infectious and non infectious diarrhea, and looks at the treatments available for the issue and methods of control. The videos were filmed at two thoroughbred breeding farms in Argentina – Haras Chenaut and Haras Pozo De Luna. Jaguar is the maker of a new botanical product which combats diarrhea in foals, Neonorm Foal. The product consists of a standardized botanical extract derived from the Croton lechleri tree, from the Amazon. The tree species has a rich history of medicinal use by indigenous peoples in the Western Amazon rainforests of South America. The tree produces a blood red latex from which the standardized botanical exact Neonorm is isolated and purified. The tree is commonly called “Sangre de drago” in Spanish which translates to “Dragon’s blood” in English. Indigenous people use the red latex to treat a variety of medical conditions. Its most common uses are taking small quantities of the latex orally to treat diarrhea, stomach ulcers, coughs and flu. The red latex is also applied topically as a wound healing agent for cuts, open sores and for healing the gums after tooth extractions. It has been and continues to be used to treat humans as well as dogs and livestock.